The source video is a CNN highlights reel from Donald Trump’s presidential candidacy announcement in July 2015. I used audio volume (averaged over each frame) to dictate how deep to dream. For fun, I used a picture of Cthulu as a guide image. 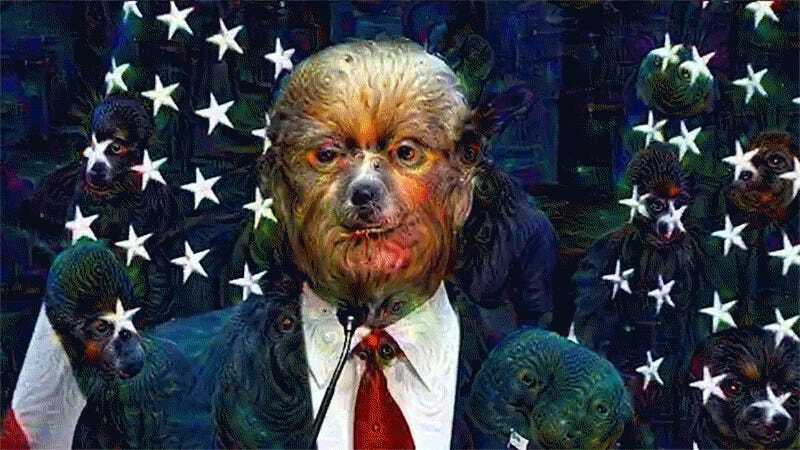 Cthulu meets Trump as understood by an A.I. that can dream. Welcome to the state of American politics in 2016.